The Fung Brothers Comedy make a lot of Youtube videos with an Asian-related topic told from a strictly Asian point-of-view. In a recent video, the Fung Brothers explain why: The Fung Brothers make so many “Asian” videos because according to them, no one else is going to start the conversation surrounding issues in the Asian American community (e.g. invisibility in mainstream American culture). Yet, the Fung Brothers seem to think otherwise: If the Fung Brothers truly believed that anyone could talk about the NBA, then they wouldn’t need to preface their video with their popular moniker. Does the title then warn viewers that the opinions within the video should not be trusted because Asian Americans are stereotypically thought of as non-athletic? Or does the video aim to show viewers that Asian Americans have other interests outside of what people think (math, science, etc.)? Because of that, the completely made up types of Asian girls (“Using the patented, scientific method of ‘making things up,’ we present to you today, ‘18 Types of Asian Girls!’”) actually have some truth to them: girls have shared the video exclaiming how accurate it is. Others have proclaimed that it applies to all girls, not just Asian girls, which is another reason why the video is so popular. By juxtaposing vocabulary reserved for scholars (“patented, scientific, expert, reports, analysis”) with a sarcastic tone, the Fung Brothers might have meant this video as a satire, but nevertheless, the Fung Brothers are starting a conversation about race and ethnicity in America, something people in this country are too afraid of doing because they don’t want to come off as racist in a so-called post racial world. 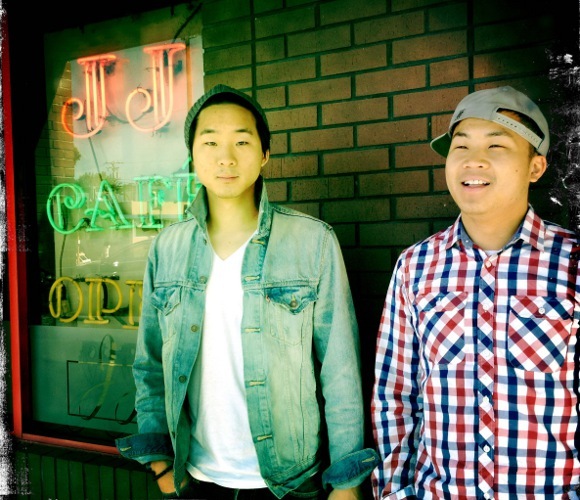 Prefacing the video with “Asian American Guys…” shows the latter: the video aims to show viewers that Asian Americans have other interests outside of what people think. The Fung Brothers have to preface the video with their popular catchphrase because the truth is we are not in a post-racial world. Their videos expose viewers to various aspects of Asian American culture, from food to identity, that audiences wouldn’t be able to get anywhere else. Burke, M. (2014). Color blindness versus race consciousness: an American ambivalence. In D. Hartmann and C. Uggen (Eds. ), Colorlines & racial angles (165-175). New York, NY: W.W. Norton & Company. This entry was posted in Archive, Commentary, Recently Added, Reviewed, Talk. Bookmark the permalink.